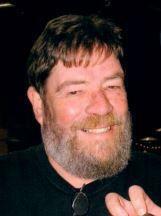 Joseph (Joe) Peter Ghisletta III died at his home in Napa on March 25, 2019 of cancer. He was 69. He is survived by his wife Linda (Ruha), his sons, Adam (Stephanie, granddaughter Rylee), Andrew (Aleshia) his sister Carol Finch, his “saintly” secretary, Eron Munoz-Ledo and nieces, nephews and cousins. He was preceded in death by his parents Joe and Billie Ghisletta and grandparents. Joe was born February 19, 1950 in St Helena, CA. He was a fourth generation Napa native and went to school at St. John’s Catholic, Ridgeview Junior High graduating from Napa High School in 1968 where he was active in sports and Future Farmers of America. He went on to receive his A.A. degree from Napa Valley College. He also served in the Army reserves. When he was young, he worked for his father and uncle at the family ranch and then got his real estate license in 1978. He started Ghisletta Land and Investment and sold agricultural property for 41 years until he died. He developed several properties into vineyards along the way. Joe loved his annual fishing trips with dear friends in Alaska. The farther into the wild, the happier he was! He also spent 30+ summer vacations in Graeagle, CA with his family and vacation friends. He had many friends and entertained us all with his jokes and great stories. All friends and family of Joe’s are welcomed to join us in honoring Joe’s life on April 27th, 2:00pm at Tulocay Funeral Home with a celebration of life following at Joe’s barn on Old Sonoma Rd. In lieu of flowers please send donations to the American Cancer Society. There's still time to send flowers to the Memorial Service at the Tulocay Chapel at 2:00 PM on April 27, 2019.